Chemists and biologists from many diverse laboratories are finally making the switch from paper to electronic notebooks (ELNs). The transition is a difficult journey for any company to undertake, both in terms of infrastructure, and in persuading thousands of scientists to change their working habits, but the benefits include tighter intellectual property (IP) control, increased efficiency, and better note-taking. It was a merger that prompted Kalexsyn, a contract research organisation (CRO) based in Michigan, to transfer to ELNs. It realised there was a growing trend for its customers – pharmaceutical companies – to embrace ELN solutions, so it would mean an easier integration into their informatics systems, and no data would need to be imported. Kalexsyn chose the Discovery Notebook 2.0 from Symyx, mainly because it featured a fully searchable Oracle database. It also increased efficiency, as repeated reactions can be cloned into new notebook entries, with the software providing all the conversions of chemical quantities. Serono was also concerned about communication when it adopted Klee’s Kalabie ELN. The story of Serono and Klee’s collaboration started in 2002. Serono, a biotech company, required an electronic laboratory reaction database for chemistry departments across all sites, and Klee, traditionally a software editor and systems integrator, was just releasing its first ELN. The requirement to share information was a key driving force for Serono, who felt that information was being lost among colleagues, sites, and even to the scientists themselves. After reviewing a number of options, Serono chose the Kalabie ELN from Klee, partly because it felt that it could have a good input into the development of the software, right from the start, and also because of Klee’s history in integration. Kalabie is open architecture; Klee provides a standard product, and then designs modules with functionalities specific to the customer’s needs. This has proven so fruitful that Serono is again collaborating with Klee to expand the notebook from analytical chemistry to the production of proteins and antibodies, while constantly upgrading and improving existing modules to better meet its needs. The close integration with other Serono knowledge systems, such as the corporate database, reagent inventory, and analytical experiment database, has also saved the scientists’ time. Information can be exported in a number of different formats, including .xls, .rdf and .sdf. Particular attention was paid to the links between the entities and experiments, resulting in the ability to automatically recover reaction schemes, which were directly usable for publications and reports. It has also helped Serono to gain control over its IP policies. With very simple queries, it can see when reports have been opened and saved, and when reports are in the waiting list for signing and countersigning. In the future Serono hopes to completely replace the paper notebook in all its laboratories. It is also investigating the possibility of having access to these tools on devices such as palm tops. Robert Haigh, managing director of Ferring Pharmaceuticals in the UK, says: ‘The key to future success is to support a constant stream of innovative research programmes.’ With this objective in mind, Ferring chose to replace its paper notebook with the eNovator ELN from Kinematik. eNovator is an enterprise-wide knowledge and project management system for the management of data, documents and scientific projects. It provides a user-friendly interface for scientists and managers to use in their day-to-day work, and is being used as the primary storage location for their ideas and critical organisational IP. Flexible configuration allows the capture of ‘free form’ and structured data in an electronic and fully searchable format. In addition, eNovator is built on an open and scalable architecture, so easy integration with equipment, hardware and software applications that Ferring scientists use to generate data was possible. Among others, eNovator has been integrated with ChemAxon’s JChem Cartridge for Oracle and Marvin toolkits to store, edit, search and retrieve chemical structures and reactions within the ELN. The key benefits of eNovator include a fully searchable electronic environment where critical knowledge and IP-generated information can be leveraged for future work and research. It also provides a platform to ease collaboration among departmental groups within the organisation. 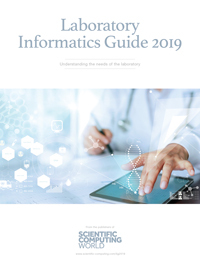 Although chemistry ELNs seem to dominate the market, Pfizer deploys the IDBS BioBook across the full spectrum of its research, including discovery biology, worldwide safety sciences, pharmacokinetics dynamics and metabolism, and secondary, safety pharmacology. BioBook is used across all of Pfizer’s research sites worldwide, with IDBS delivering implementation and support services. It was very important for Pfizer that the notebook was a fully 21 CFR Part 11 compliant environment, allowing data to be easily and securely recorded. Real-time data sharing, analysis and rapid delivery of reports were other important features. Computational biologists at Merrimack Pharmaceuticals have also used a biology ELN to increase productivity and allow more time to model protein networks. Merrimack Pharmaceuticals is a biotechnology company that develops drugs for autoimmune disease and cancer. In 2003, it experienced rapid growth, which produced a significant increase in the volume of data. The company decided that, to optimise performance, it needed to migrate its data collection process to an electronic format. After bypassing LIMS solutions, Merrimack chose the Infotrieve/ELN as its solution, which provides massive amounts of data storage via an Oracle database that can be quickly and easily queried through customisable data fields. In addition, the system can support variable scientific workflows, with complex protocols written to perform complicated, low-throughput experiments – as well as catering for more structured high-throughput experiments. The ELN is embedded within Word, Excel and Adobe Acrobat to promote rapid training. Integration with a larger infrastructure is obviously an important requirement for any ELN. The deployment of Benchware Notebook, Tripos’ ELN, to several hundred global users at Schering took place in the context of a larger informatics solution, the Enterprise Chemical Information Management System (ECIMS). Built on the Benchware Notebook platform, the ECIMS solution not only provides support for planning and synthesis of compounds, but also handles the logistics of compound management through additional compound registration, inventory, and ordering functionality. To enter a new experiment in Benchware Notebook, a Schering user starts with a template notebook page. The components of the template page can be dynamically customised and repositioned by the user to suit individual workflows in areas such as medicinal chemistry, parallel chemistry, high-throughput chemistry, genomics, screening, ADME and toxicology. Auto-calculation functionality within a Benchware Notebook page allows Schering chemists to easily determine important experimental factors, such as stoichiometric amounts and molecular weights. In addition to using Benchware Notebook to plan and document experiments, Schering scientists can use the software to collaborate with colleagues throughout the organisation. With all entered data stored in an underlying Oracle database, Benchware Notebook users are able to dynamically search notebook pages across the organisation. Searches can be done by using conventional alphanumeric search terms or by compound structure. Researchers at Schering use these features to study reactions produced by colleagues to gain new insights into their own plans, which has been found to save time and spark innovation. For some pharmaceutical companies, out-of-the-box solutions are just as viable as fully customised solutions. Karo Bio, a drug discovery and development company from Sweden, set-up and ran the ConturELN, from Contur, in only a few hours. The ELN required no reconfigurations, and was easily integrated with Karo Bio’s existing cheminformatics infrastructure. For a company like Karo Bio, it is essential that experiments are completed, signed and witnessed correctly and on time. The ELN uses e-signatures to implicate much stronger security, and reminders and alerts were sent out to increase efficiency. Currently, the whole chemistry department is using the ConturELN, with 90 per cent of the users giving positive feedback. There are currently plans to include the biology department within the near future. York Bioanalytical Solutions (YBS), a UK-based CRO, decided that an ELN would allow it to process and record data more efficiently, and that the protocols would comply better with regulatory legislation such as Good Laboratory Practice. They wanted an ELN that would lead to improvements to routine data collection and checking. To meet the rigorous demands of the legislation, YBS collaborated with Terrington Data Management to configure the ELN Labnotes. The resulting program enables data to be interrogated, recorded, tabulated, checked, approved and archived in accordance with the requirements of 21 CFR Part 11. In addition, automated calculations using pre-validated formulae provided significant labour savings for both analysts and quality assurance professionals. It’s not just multi-national drug development companies that receive benefits from ELNs. The West Midlands regional Pharmaceutical Quality Assurance Laboratory, part of the UK National Health Service, uses the Waters eLab Notebook to provide quality assurance support and assessment to the NHS Supplied Central Division Drug Contract. An increase in sample load from an expanded geographical area prompted the crossover. In addition, analysts were spending a significant amount of time locating paper notebooks that corresponded to a particular analysis. The solution was required to provide an exact copy of their current workflow. The eLab Notebook provided a seamless interface to analytical processing tools and other software programs such as Excel, Word and chromatography data software. It automated scientific content collection and storage while satisfying compliance requirements such as audit trails. In its deployment, the eLab Notebook was scaled to provide approximately 2,000 analysis orders per year, with 600 different substance templates. Initially, deployment has concentrated on template development, and will expand to include regional sample templates as well as experimental data harvesting. A wide variety of scientists, including biologists and engineers, at the United States Air Force employed the CERF (Collaborative Electronic Research Framework) ELN from Rescentris. The collaboration has been so successful that it won the ‘Best Knowledge Management Platform for Biological Research and Development’ award from CENSA, the Collaborative Electronic Laboratory Notebook Systems Association. The US Air Force found the ELN contributed to significant time savings, as results could be recorded directly into the ELN from the lab. It also allowed principal investigators to review the project in real time and run the project more efficiently, without the need for duplicate copies to clutter up the workspace. CERF also facilitated the organisation and presentation of many different types of data, particularly in graphical form, and provides a single repository for all the scientists on a project to share experiment data, both between themselves, and with collaborative partners such as the University of Dayton. Many felt that it improved the data integrity. One of the concerns about ELNs was that data could get lost, but Rescentris has developed a searchable archiving system that will prevent this. Total, a petrochemical company from Belgium, also had concerns about data integrity and IP, but Olivier Miserque, a department manager, now says he has more confidence in ELNs than in paper notebooks. He had already used an ELN at university, 15 years ago, so he had already experienced some of the benefits and was keen for Total to do the same. He found that many scientists were already entering data into Excel and Word, so an ELN just facilitated this process. Total chose CambridgeSoft’s E-Notebook, because it found it offered broader possibilities than its competitors. In particular, Total found the stock inventory manager useful, as well as the advanced chemical drawing capabilities and the ChemFinder feature. It has integrated the ELN with a scientific document management system to improve archiving and ensure the safety of data, and also with a LIMS systems, and scientific instruments. The many benefits include: assistance with experiment design and calculations; the possibility to duplicate experiments; information sharing; and better management of samples. Templates have made note-taking more uniform, and the ELN facilitated the distribution of safety guidelines. iAdvantage was initially an agricultural CRO, which decided to develop an ELN when it started to employ nine people to deal with the paper administration. It studies pesticide residues in air, water, plants, and its exposure to humans, in many different locations around the world, including the US, Canada, Europe, South America and South East Asia. iAdvantage designed the notebook to accommodate the workflow of the scientist, and to give them greater control without dependence on the IT department. In addition, the software allows access from multiple data sources, including LIMS systems, Oracle and MS Excel. It includes statistics software that allows data analysis without expert knowledge. The results can then be included in the final report. Because the data is kept within the same secure environment at all times, there is no need to QA data multiple times, saving time. The software is also entirely web-based, which saves IT infrastructure and maintenance costs. Overall, the ELN provided an 80 per cent time saving for study directors. ‘It’s allowed reports with statistical tables to be produced in minutes rather than weeks,’ said Dr Thompson. The sheer variety of these case studies suggests there’s no limit to the possible applications of ELNs, and the corresponding benefits. With technology improving all the time, it seems that wherever data is collected, and reports are written, an ELN will find its place.